Great Twins sent over new official photos of their upcoming Twelfth Scale Supreme Action Figure Terminator 2: Judgement Day – T-800 Endoskeleton Figure. We got our first look back in October. The new photos showcase the included base and weapons. 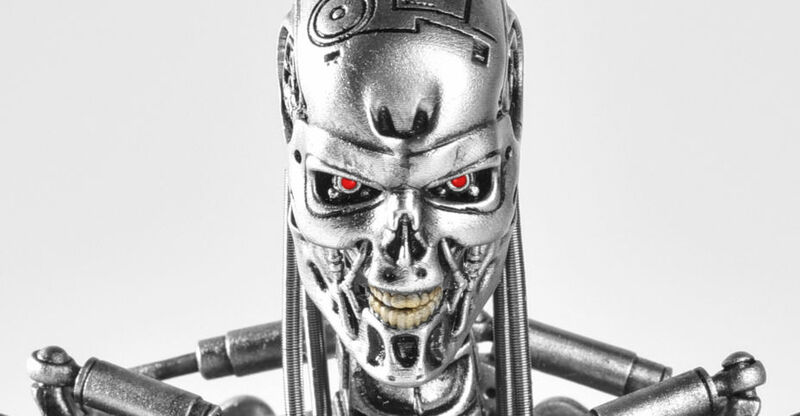 The T-800 Endoskeleton will stand about 6.3″ tall and have over 25 points of articulation. It will feature a mix of diecast metal and plastic, as well as LED light up eyes. The figure will also include three sets of interchangeable hands. An exclusive edition will also be available, which will include two plasma rifles and a light up diorama display base. 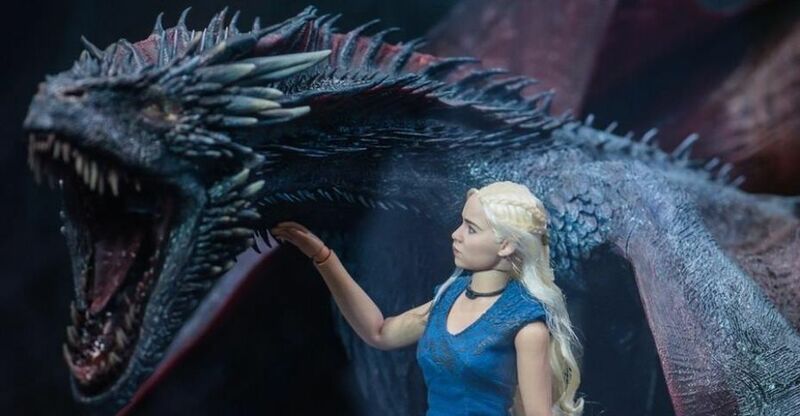 The figure is set for release in the second quarter of 2019. It’s priced about $120 to $180 depending on where you order. You can pre-order via Big Bad Toy Store or HLJ. See additional info and photos after the jump. A second new Terminator figure has been revealed today from Great Twins. 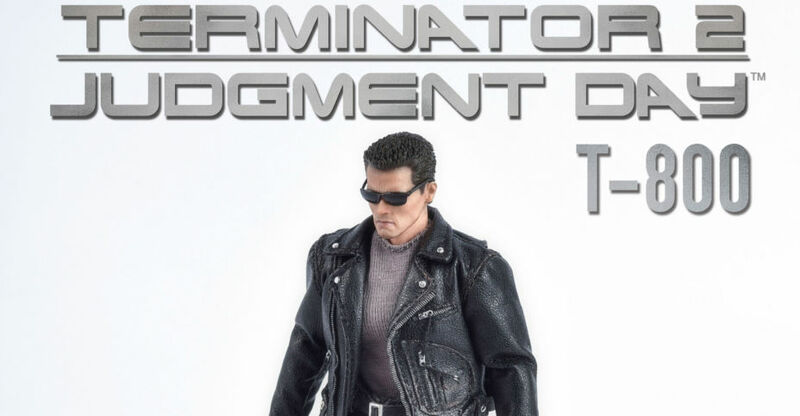 They have posted up the product page for their Twelfth Scale Supreme Action Figure Terminator 2: Judgement Day – T-800 Endoskeleton Figure. Earlier today, we shared photos and details for their T-1000 Figure. 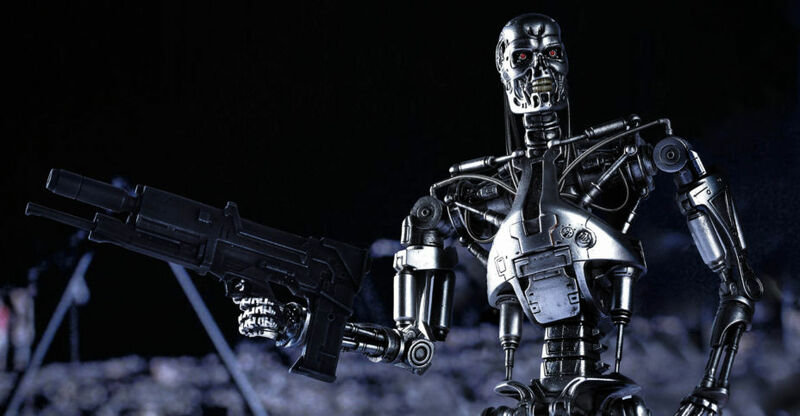 The T-800 Endoskeleton will stand about 6.3″ tall and have over 25 points of articulation. It will feature a mix of diecast metal and plastic, as well as LED light up eyes. The figure will also include three sets of interchangeable hands. An exclusive edition will also be available, which will include two plasma rifles and a light up diorama display base. Pre-orders for this (as well as the T-1000) are expected to go live in the first week of November. Pricing and expected release date have not been revealed at this time. See additional info and photos after the jump. 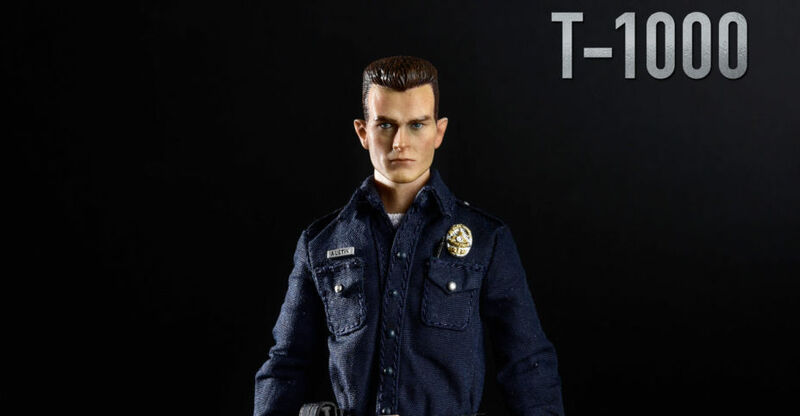 Earlier in the month, we got a quick look at the upcoming Twelfth Scale Supreme Action Figure Terminator 2: Judgement Day – T-1000 Figure coming from Great Twins. Now we have official photos and a breakdown of the included accessories. For those not familiar with the Twelfth Scale Supreme Action Figure line, the figures use an articulated 6″ scale action figure body with fabric outfits, and each figure will include interchangeable parts an accessories. The Terminator 2 – T-800 Figure is due out next month. 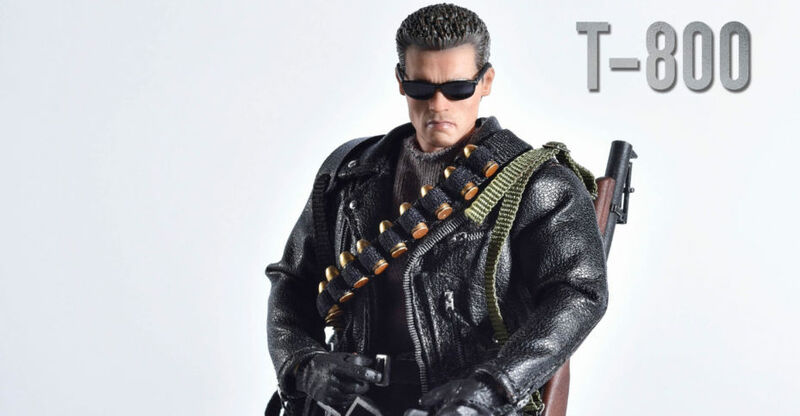 The T-1000 will include interchangeable standard and battle damaged head sculpts, swap out hands, metal hook arms, magnetic bullet damage pieces, a walkie talkie, a pistol, a set of handcuffs and more. An exclusive version will be released, which will also include a metallic T-1000 statue that stands a little over 6″ tall. Pricing and official release date have not been revealed at this time. We’ll update with those details when they are released. Click the headline of the story for photos and full details. 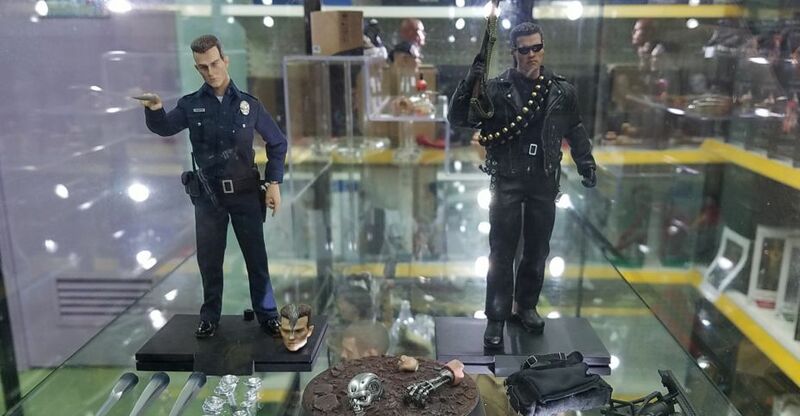 At an unnamed display, we get our first look at the second Terminator 2: Judgement Day figure coming from Great Twins. You may recall that earlier this year, they revealed their Twelfth Scale Supreme Action Figure Terminator 2: Judgement Day – T-800 Figure. 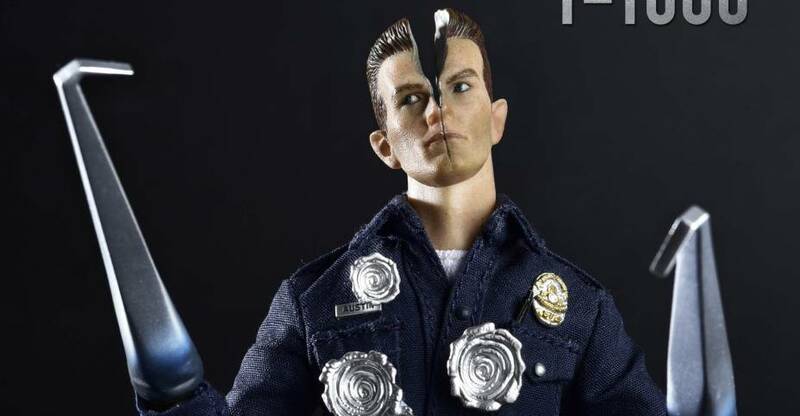 We now have a quick look at their upcoming T-1000 1/12 Scale Figure. Like the T-800, this figure looks to be packing a good amount of interchangeable parts and accessories. The T-1000 will include swap out portraits, interchangeable hands, interchangeable metal rod arms, bullet holes, weapons, and a figure stand. At 1/12 scale, the figure will stand roughly 6″ tall. Much like Mezco’s One:12 Collective figures, these feature fabric outfits. According to the post by Toys Beat, the T-1000 will go up for pre-order by the end of the month. No word at this time on pricing or final release date. We’ll update when more info becomes available. Click the headline of the story for the photos, which includes a new look at their T-800 as well. We’ve received full pre-order details for the upcoming Twelfth Scale Supreme Action Figure Terminator 2: Judgement Day – T-800 Figure coming from Great Twins. The figure made a huge splash when it was revealed last week, and fans have been hitting us on all our channels looking for more info. Great Twins sent us some additional details about the figure, as well as info on pre-ordering. Pre-orders for the T-800 1/12 Scale Figure begin tomorrow, June 22nd and will end on July 5th. After that, no more orders will be accepted. The figure will include a new bonus item when ordering from Great Twins. Fans who order from them will receive a 1/12 scale statue of the T-800 as he emerges from the time displacement field (aka a naked Arnold Schwarzenegger). The figure will be priced at $115 USD. Check out the product page by Clicking Here. We’ve received a press release and new photos for an all-new licensed Terminator 2: Judgement Day – T-800 Figure. The new figure is being done by Great Twins, and this is their first collector level 6″ tall action figure. This is part of their new Twelfth Scale Supreme Action Figure line, which sounds like it will be expanding rapidly in the near future. Much like Mezco’s One:12 Collective line, the Twelfth Scale Supreme Action Figure uses an articulated action figure body, fabric outfits, and numerous parts an accessories. The new T-800 stands just under 6.3″ tall and has about 25 points of articulation. The figure includes interchangeable hands, removable sunglasses, a shotgun, a mini-gun, a pistol, a grenade launcher, an ammo bag, a grenade bandolier and a figure stand. Fans interested in the new figure won’t have to wait long, as this is due out in November. After the jump, you can check out all of the new photos as well as the press release. Join in on the discussion to let us know what you think of the new line.